Thermae SPA - Just Beauty Products, Inc.
Alfaparf Thermae SPA Innoavative cosmetic SPA system+, Acqua Santa from Chianciasno Terme, is precious water rich in sulfur and magnesium for a deep purifying action, while calcium remineralizes, helping tos give new strength and life to the hair. It is the first Ammonia-Free hair color enriched with thermal water, to turn the color treatment into a pampering moment, for sensitive scalp and hair. The perfect combination between technology and well-being. Thermae SPA There are 11 products. 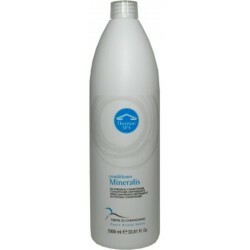 Alfaparf Thermae SPA Mineralis Antistress Conditioner 1000ml/33.81oz. With Acqua Santa from Chianciano Terme, rich in salts that help the hair to find new vitality and a perfect cosmetic result. 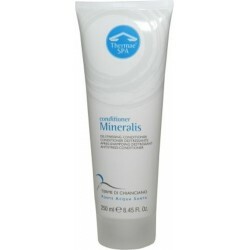 Alfaparf Thermae SPA Mineralis Antistress Conditioner 250ml/8.45oz. With Acqua Santa from Chianciano Terme, rich in salts that help the hair to find new vitality and a perfect cosmetic result. Alfaparf Thermae SPA Oxidus 1000ml/33.81oz. Hydrogen Peroxide Cream Specifically studied to optimize the performance of Thermae Spa Color. Alfaparf Thermae SPA Color 60ml/2.05oz. Free from Ammonia, PPD, Parabens, Silicones. Wellness color treatment with Acqua Santa from Chianciano Terme. Lightning up to 3 tones and 100% coverage of white hair. Alfaparf Thermae SPA Suavitas Antistress-Shampoo 1000ml/33.81oz. Cleanses gently, ideal for use at the end of a technical service. With Acqua Santa from Chianciano Terme, rich in salts that help the hair to find new vitality and a perfect cosmetic result. Alfaparf Thermae SPA Suavitas Antistress-Shampoo 250ml/8.45oz. Cleanses gently, ideal for use at the end of a technical service. With Acqua Santa from Chianciano Terme, rich in salts that help the hair to find new vitality and a perfect cosmetic result. Thermae SPA Argilla Remineralizing Mud (Box with 6 sachets of 1.41oz each). It releases remineralizing elements that reinforce the natural resistance of hair fiber. It has a stimulating effect on the scalp and energizes the fiber. Thermae SPA Equilibrium Regenerating Wrap 200ml/6.76oz. 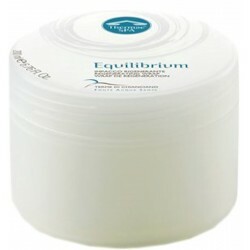 Thermae SPA Equilibrium Regenerating Wrap 200ml/6.76oz. It restores wellness to the scalp while keeping the right minerals balance. The hair is well hydrated and provided with elasticity, softness and shine. Thermae Spa Fontis Purifying Peeling Shampoo 200ml/6.76oz. Thermae Spa Fontis Purifying Peeling Shampoo 200ml/6.76oz. It cleans and purifies the scalp thanks to exfoliating micro granules. The cold effect of the essential mint oil has a soothing effect on the skin. 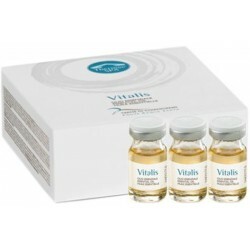 Thermae SPA Vitalis Essential Oil (Box with 6 Vials of 0.17 oz. each). 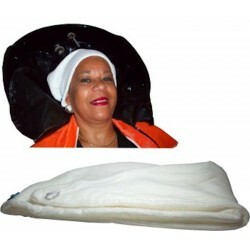 It provides the scalp and the fiber with a stimulating and energizing action. Thermae SPA Turbant. For the rest and relaxation of the hot phase THERMAE SPA TREATMENT.